You will be collected from your Adelaide accommodation at 7am this morning and transferred to Adelaide Airport for your flight to Coober Pedy. The flight time is approximately 2 hours, arriving at 11.20am. 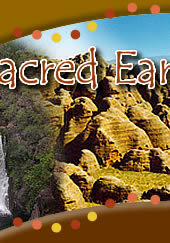 You will be collected from Coober Pedy airport by Sacred Earth Safaris for a brief town tour. After lunch and checking into the hotel, we take a guided tour through a working Opal Mine, where we get an insight of what it means to be an Opal Miner. There are no Outback Pubs in Coober Pedy but it is quite an experience to sleep underground and a unique way to start the tour. This morning we depart Coober Pedy early and head across the Moon Plain to the Painted Desert (Arckaringa Hills). The Moon Plain is rich in fossil deposits, evidence o f the inland sea that covered this region 120 million years ago and offers a vast expanse of rocky plains unlike anywhere else. The strange lunar landscape has been used for many Hollywood movies including Mad Max Beyond the Thunderdome, Pitch Black, Red Planet and Priscilla Queen of the Desert. After lunch at the roadhouse we join the 615km unsealed Oodnadatta Track, which follows the Old Ghan Railway line and the Overland Telegraph, after it was originally mapped by the explorer, John McDouall Stuart. There's time for optional scenic flights over Lake Eyre (own expense). Late this afternoon, we drive out to Big Red, the largest and most famous sand dune in the Simpson Desert. It offers fantastic photo opportunities, especially at sunset. We head south again today, through Cattle Country and back into South Australia to Innamincka, made famous by Victorian explorers Burke and W ills and their ill-fated exploration across central Australia. 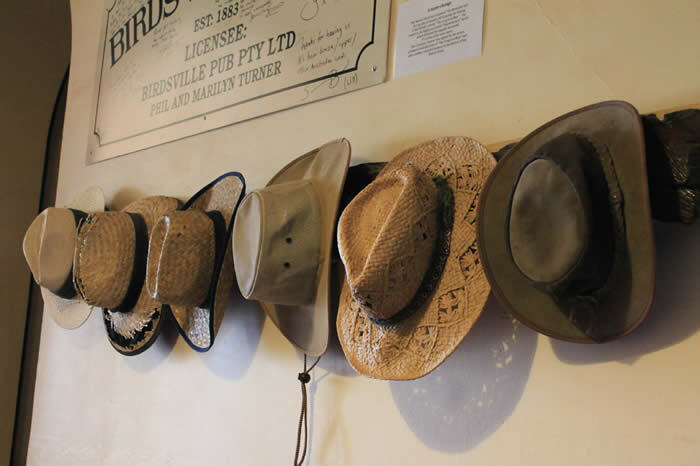 Innamincka Hotel once played host to early drovers who brought cattle down the Strzelecki Track and nowdays the Outamincka Bar has become the stuff of bush legends. We catch our breath today as we spend the day in Innamincka. 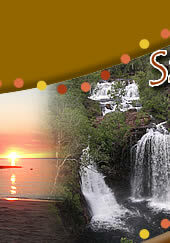 Go for a walk down to Cooper Creek and depending on conditions, it may be possible to swim, take a cruise or hire kayaks from the pub (cruise and kayaks are additional cost). We can, depending on your preferences, also visit Wills Memorial or Kings Marker. The Track was pioneered as a cattle route by bushman Harry Redford (AKA Captain Starlight), who brought 1000 stolen cattle from Queensland to South Australia in 1871 without a single death. We continue down the Strzelecki Track until we reach Lyndhurst and our accommodation for the night at the Lyndhurst Pub. Today we make our way into the central Flinders Ranges, known for their unique beauty, indigenous history, ancient geological formations, rich colours and textures and abundant wildlife. The Flinders Ranges are home to a huge array of plant species, birds, reptiles and mammals and the vibrant colours of the 800 million-year-old quartzite and limestone outcrop that is the Flinders, are truly spectacular. Firstly we take the Brachina Gorge Geological Trail, a trail that passes through 130 million years of earths history, including meteorite debris, stromatolites and fossilized plany and animal life. It offers an insight into past climates, the formation of the ranges and the evolution of early forms of life. It's also an important refuge for the rare and endnagered Yellow- footed rock wallaby . We travel through the ABC and Heysen Ranges to nearby Bunyeroo Gorge and a stop for photos at Razorback Lookout. You also have the option of taking a walk into Wilpena Pound or take a scenic flight (at own expense). Walk along the beautiful Wilpena Creek, framed by huge river red gums, into Wilpena Pound. Walking on to the Old Hills Homestead, you can learn about the hardships the Hills family had to face at the turn of the century with the option of walking up to the Wangara lookout to see the mystical heart of the Flinders Ranges with stunning views over Wilpena Pound. There is a shuttle available to shorten the walk. Our accommodation tonight and the last Outback Pub on the tour, is in the tiny town of Parachilna, at the Prairie Hotel, a favourite among film makers and photographers and famous Australia- wide for it's Feral Food :The Feral Mixed Grill has been listed as one of the top 10 Gourmet experiences in Australia ! Don't worry- non feral food is also available ! Departing the Flinders Ranges, we head south towards Hawker, the hub of the Flinders Ranges and a thriving railway town until the line was relocated west in 1956. 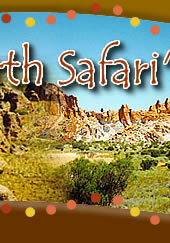 Click here for our scheduled 10 Day South Australia Outback tour, including many of the pubs in the above itinerary.